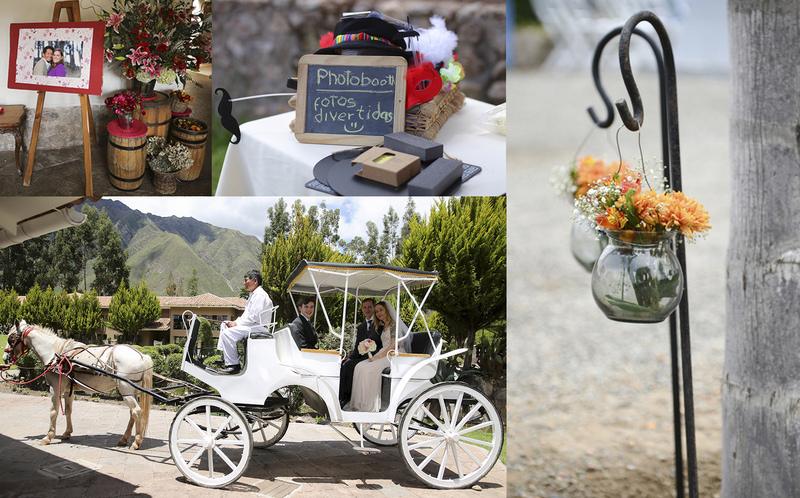 The most challenging issue for modern bride and groom is to have some original and special element in their wedding. 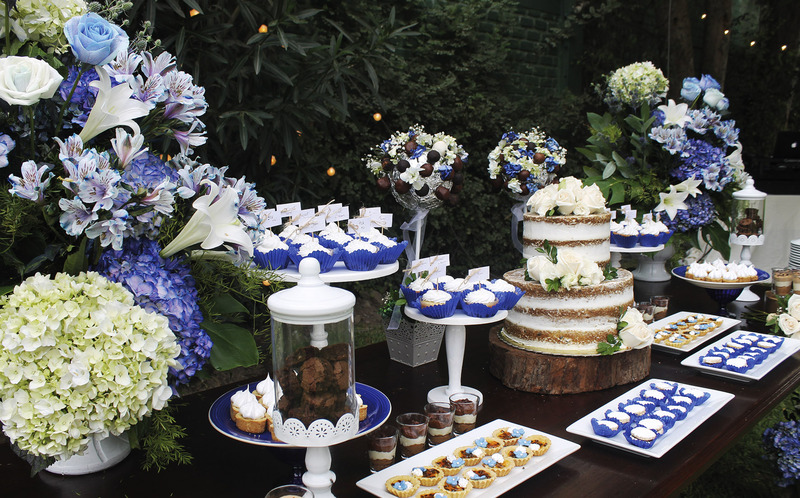 Originality and brand new ideas are valuable when it comes to wedding celebrations. Never forget that! 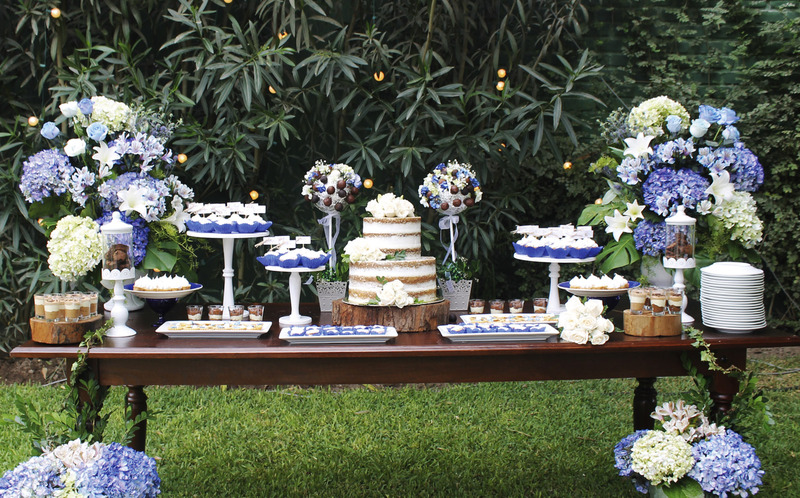 Welcome table is a very important decoration element for your event, considering that it is the first decoration your guests will bump in when they enter the reception area after the ceremony and we can say that it’s the first impression they get of your wedding. 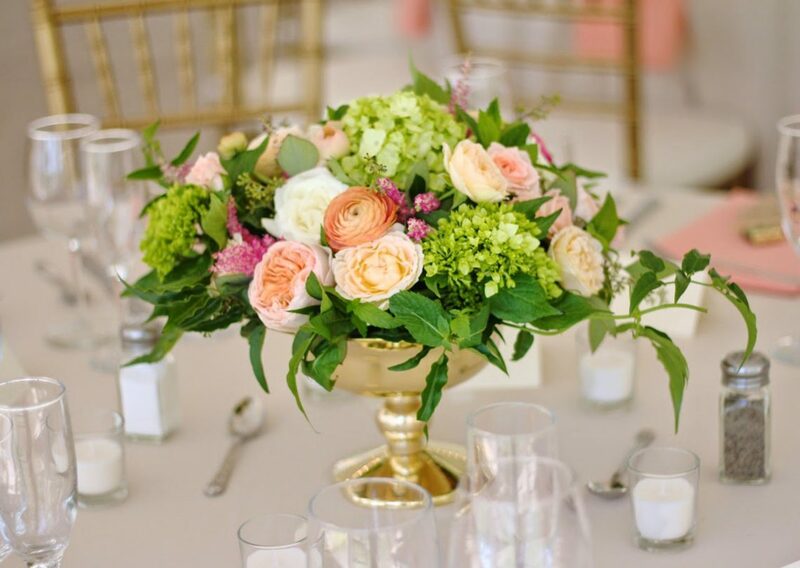 So be very careful about the items, such as tablecloths, frames, letters, flowers you place on it and the color palette you use, that obviously need to stay in line with your color palette. 1. 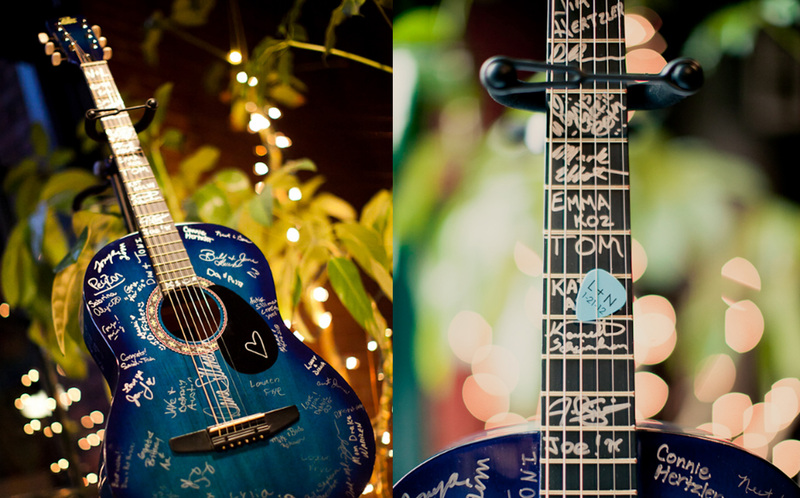 If you are deeply attached to some items, a box, a musical instrument if you are both musicians for example, you can definitley make this object your guestbook. 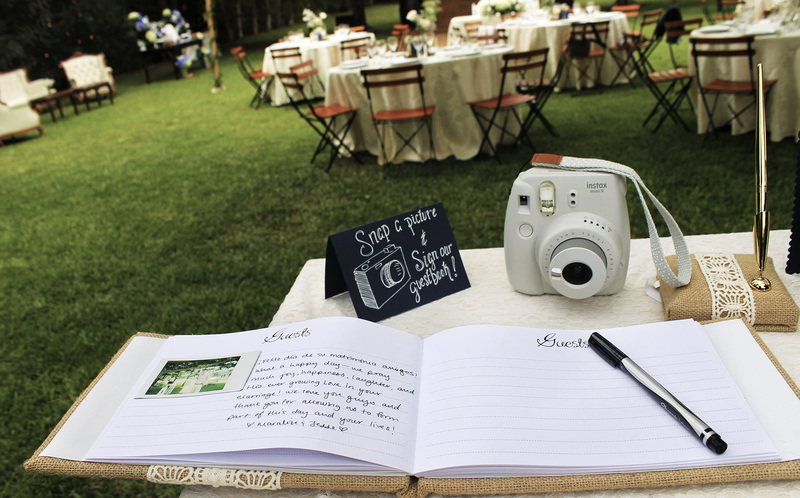 Your guests can sign the item, write their best wishes and dedicate you some nice words. 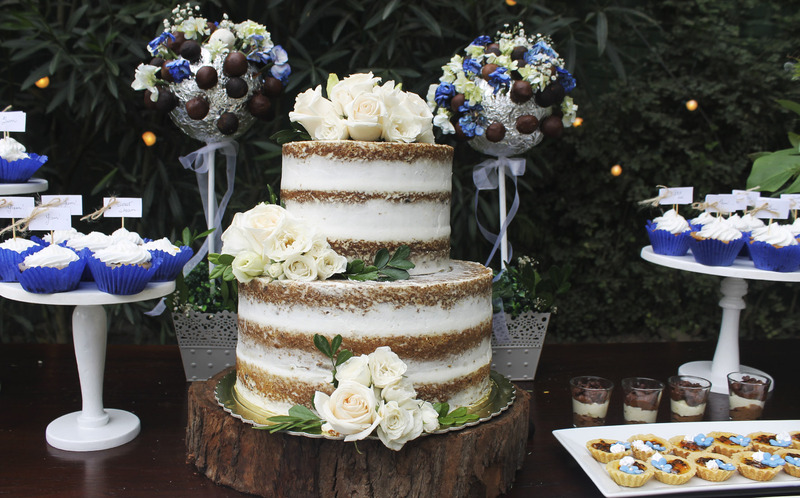 This is a customized option and you will definitely have a valuable memories of your special day. 2. 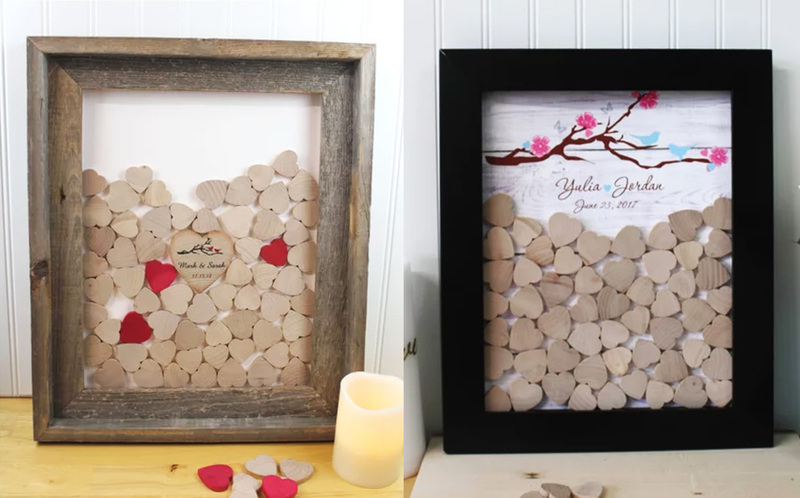 Another nice idea is to have a frame filled with little wooden heart-shaped pieces. 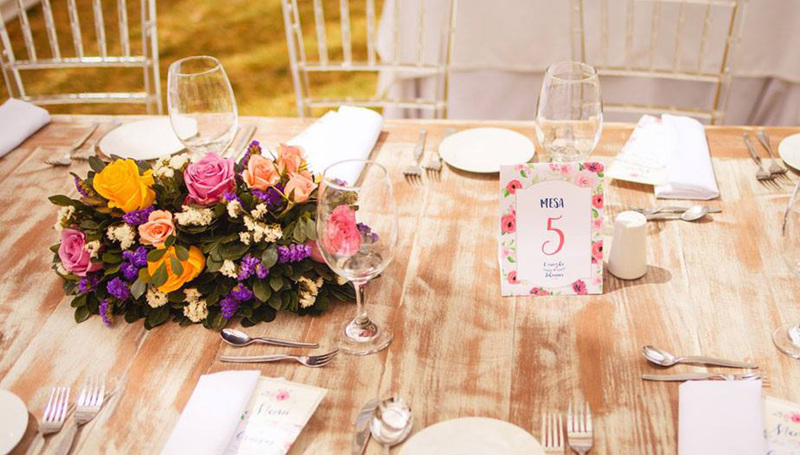 Your guests can sign one of the little heart and perhaps include a little inscription for you and place it inside the frame. 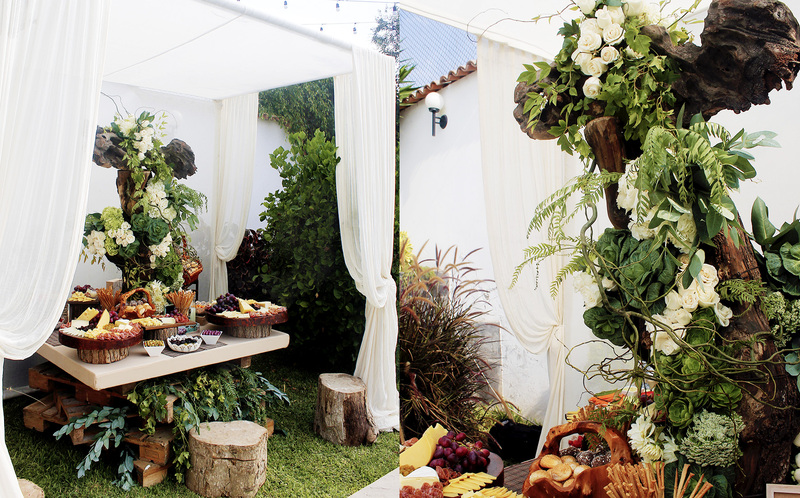 This is an original idea, ideal for rustic wedding, where wood is the main decoration element. This is actually a more romantic idea compared with the first one I gave you above, once you have this frame you can hang it up on the wall of your newl-weds home. 3. 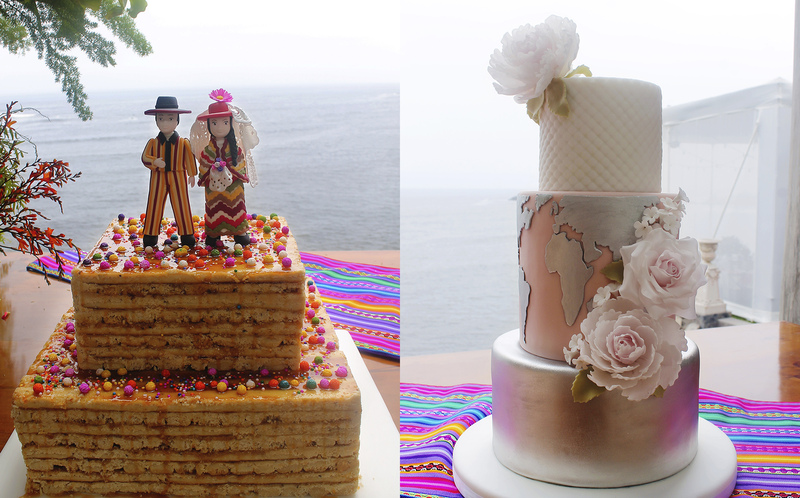 Another funny idea is to use Jenga blocks, so that your guests can sign a block and place it on top of the structure. 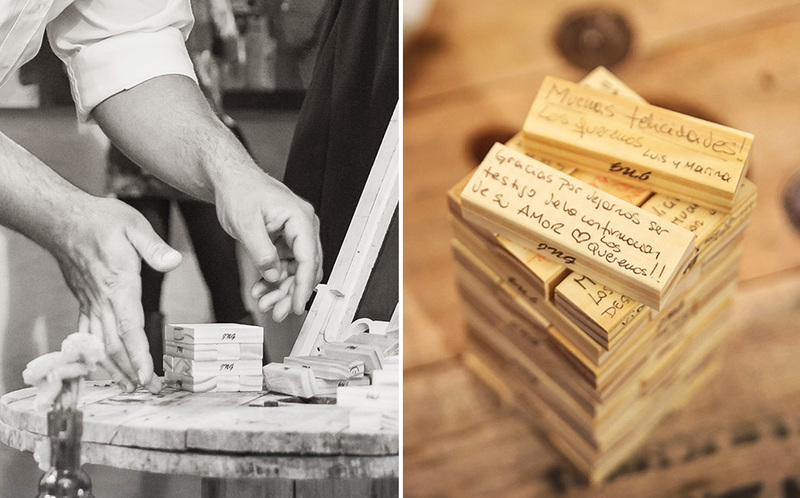 Try to choose a jenga with clear blocks, this way would be easier for your guests to write on them. 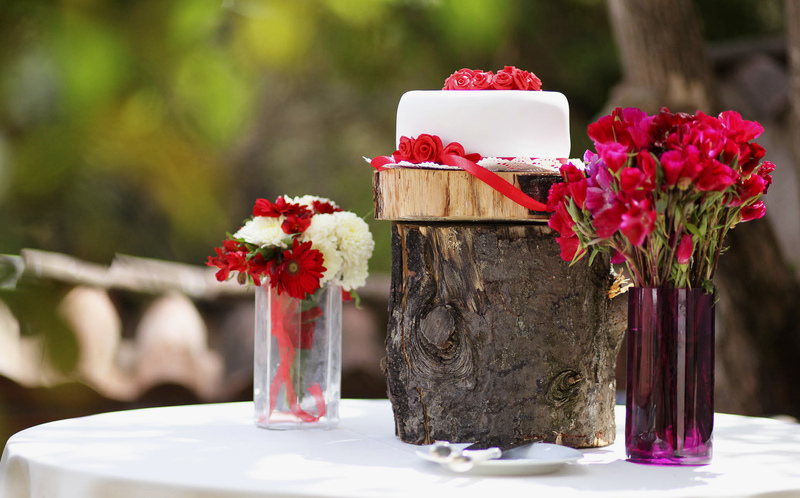 If you use a colourful jenga provide sharpies of different colors (clear and dark colors). 4. Another creative idea is to create a puzzle out of a nice photo of you both. 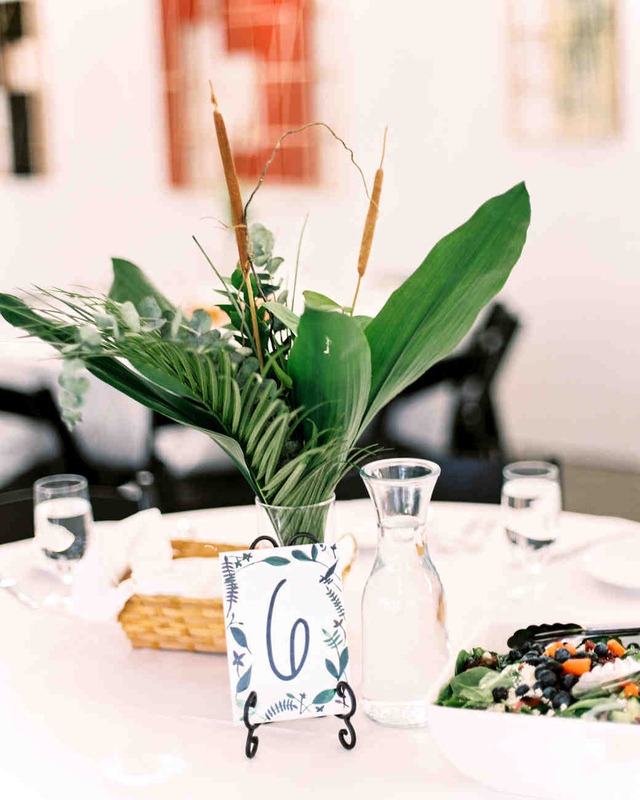 Your guests could sign a piece and try to assemble the pieces of the puzzle to reach the goal of having a portrait of you. 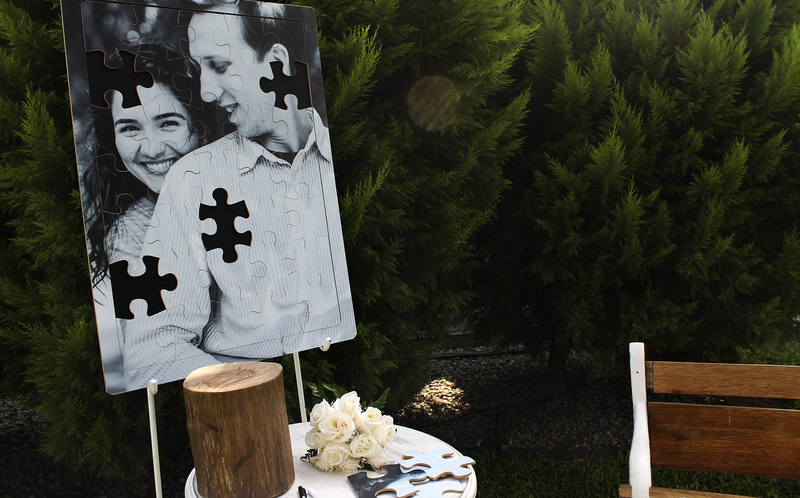 This way you will have a personalized puzzle for the rest of your life, it will be a very nice memory of your wedding celebration. 5. 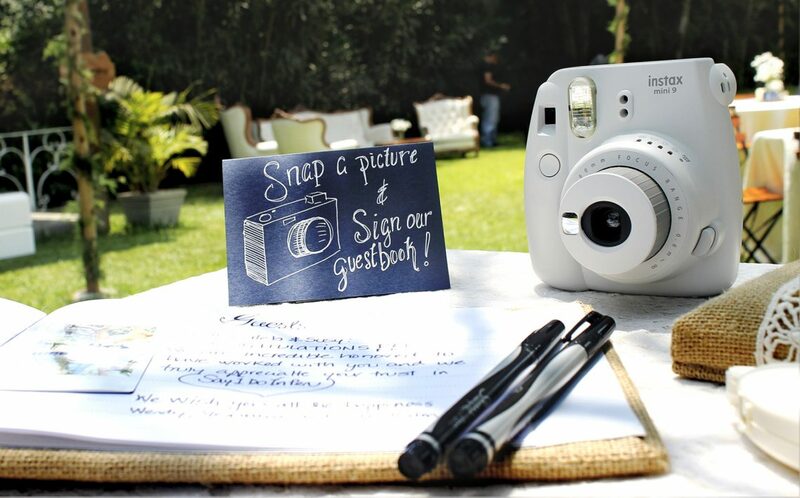 A very creative idea is to place on your welcome table a guestbook that your wedding guests can sign it, but a part of the classic inscription, you can put a polaroid camara and adhesive tape at the side of the book, so that your guests can take an instant picture of them (like a selfie or any other funny pic), stick it on the guestbook and write something for you. 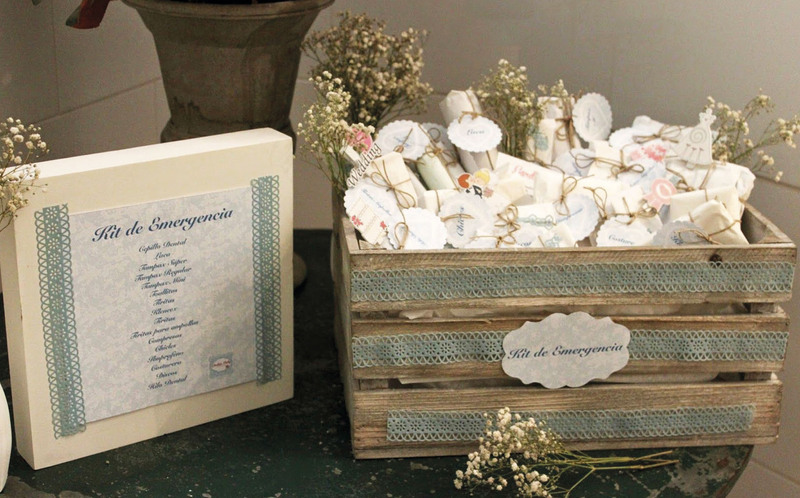 This is basically a modern version of the traditional guestbook. 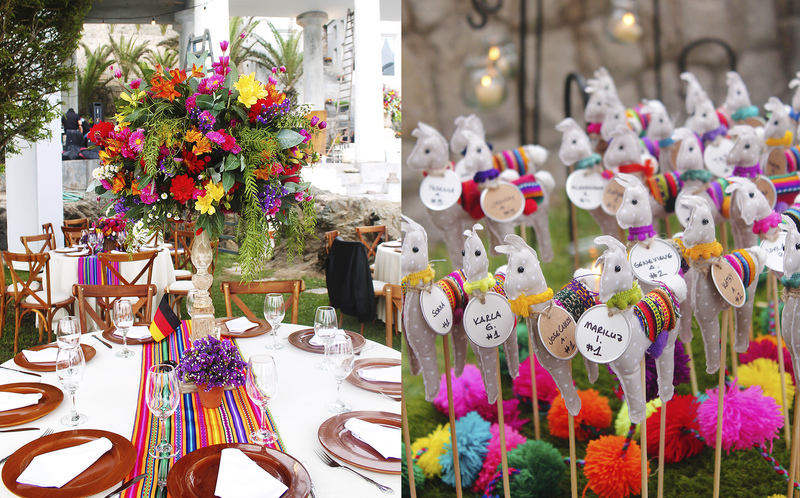 Also, another suggestion I have is that you can have one or two strings between two trees or poles where your guests can hang up the funniest pictures of the event. 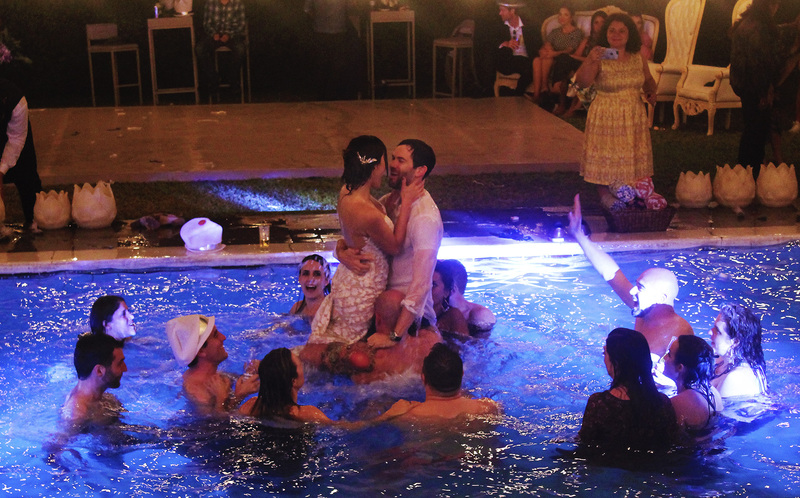 This way you will definitly have funny memories of your wedding! 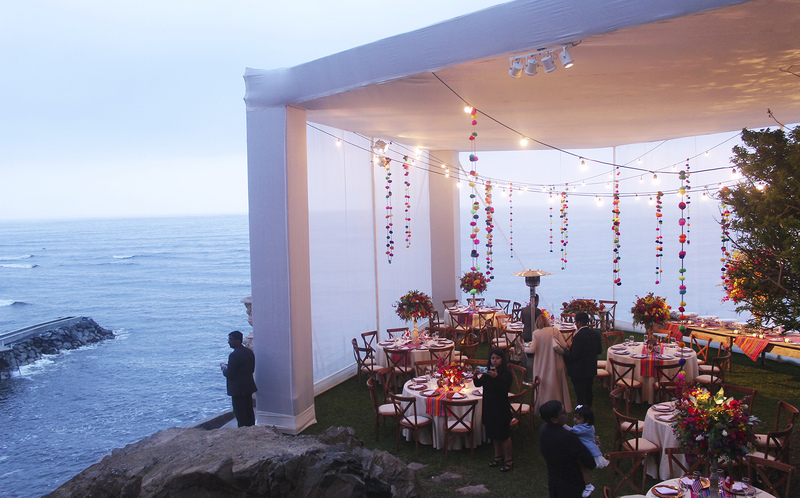 What are the key elements that we cannot miss for an outdoor wedding ceremony and reception? 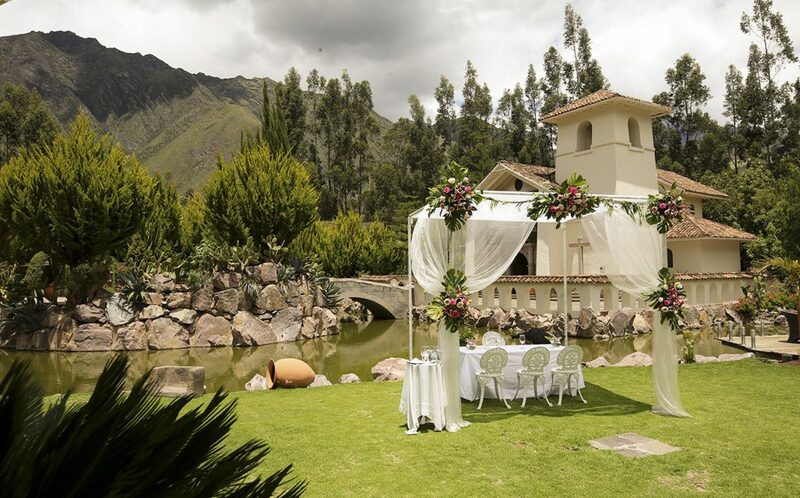 After planning and designing weddings I always take a moment to reflect and think about my job, what I could have done better and what I actually did pretty well. 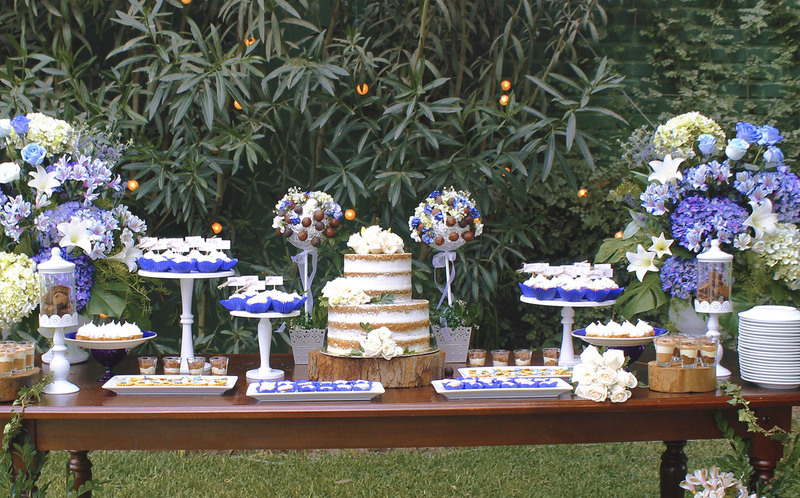 So, after designing several outdoor wedding celebrations I came out with a list of must-have items for a beautiful and memorable outdoor reception! 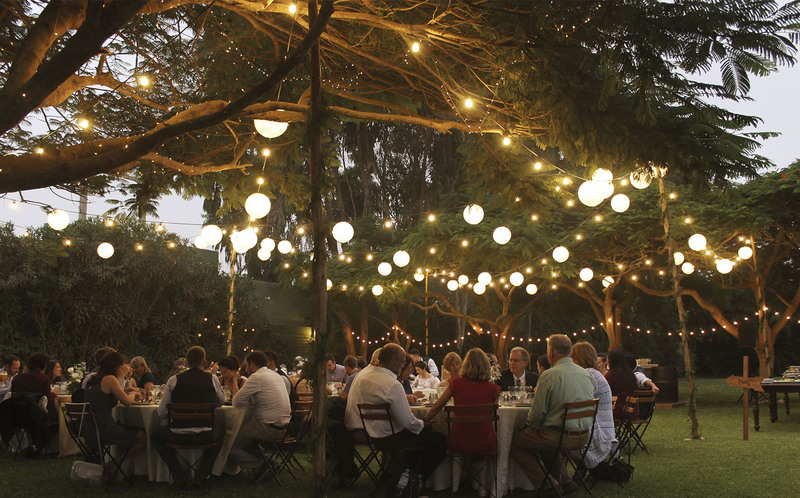 Lighting: Is there anything must valuable and important than lighting for an outdoor reception? My answer is NOOOO! 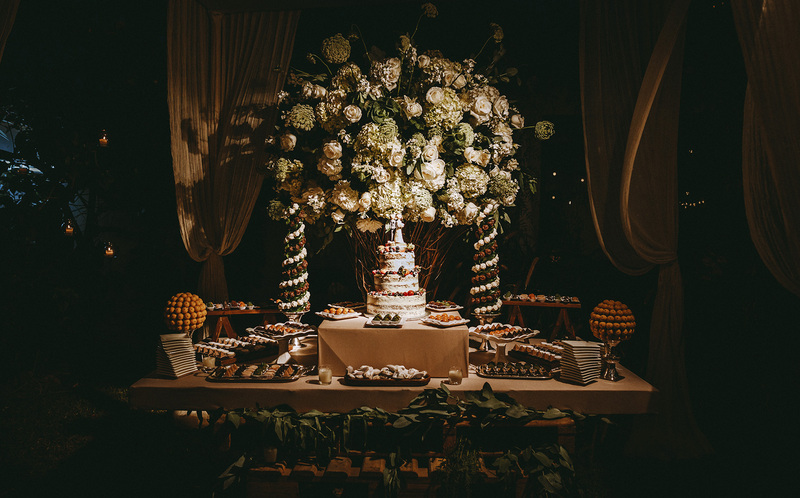 It is essential to have your lighting well put in place for the dining area, the dancefloor, the cake table and the bar. 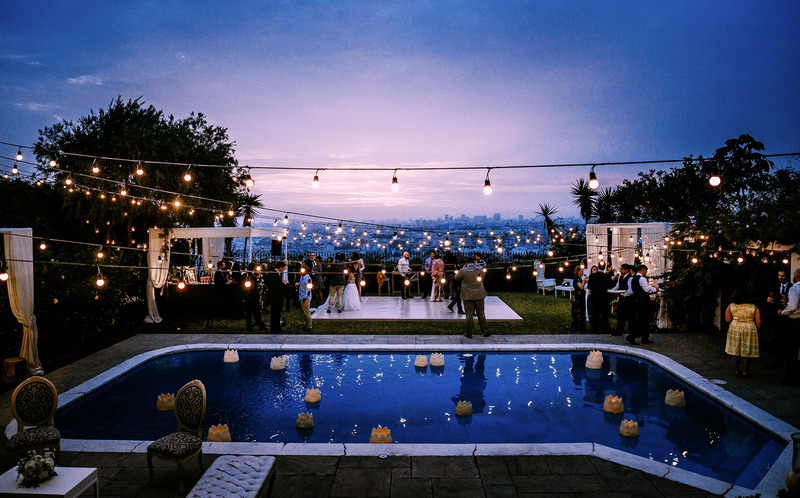 If you get married at sunset or right before that and the party will last until dawn it will be dark soon and you need to have your lighting well set and also a back-up plan in case something happens. A generator could be a solution to all your problems sometimes. 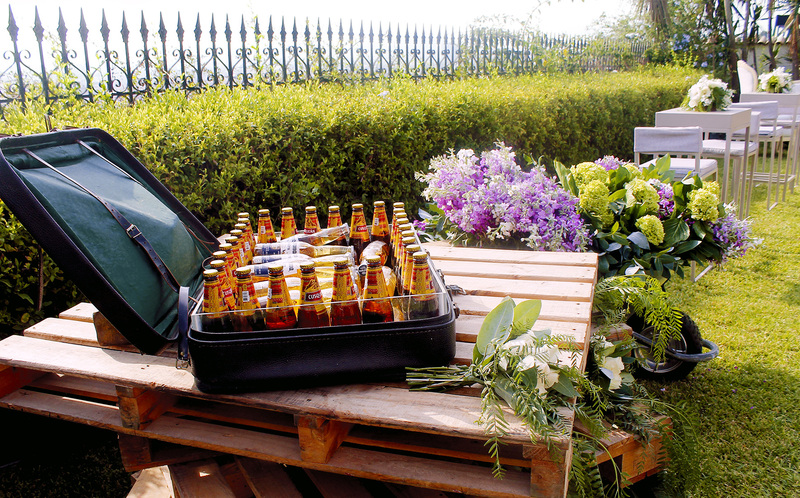 So make sure you have a generator available in the venue. 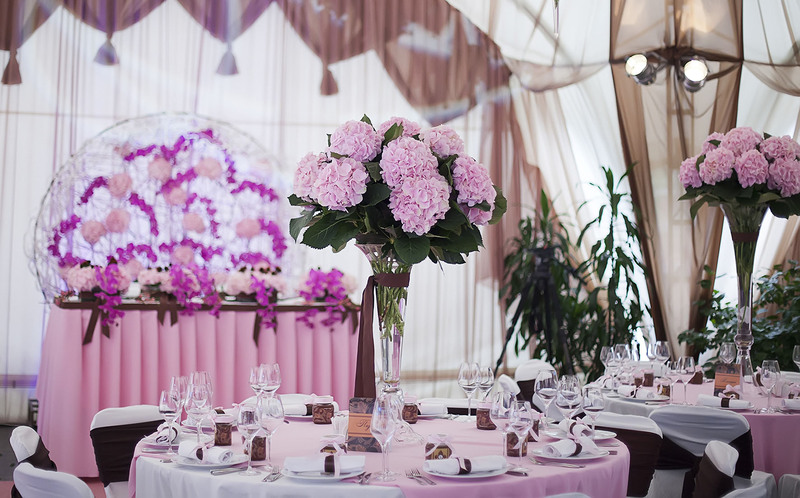 Tent: this is actually optional in case you are hosting your wedding during summertime and you know it is not going to rain! In other words you really need to be unlucky to get the only rainy day in summer… but you never know, bad things happen…so I always suggest a tent. For other seasons I believe it is mandatory to have it. 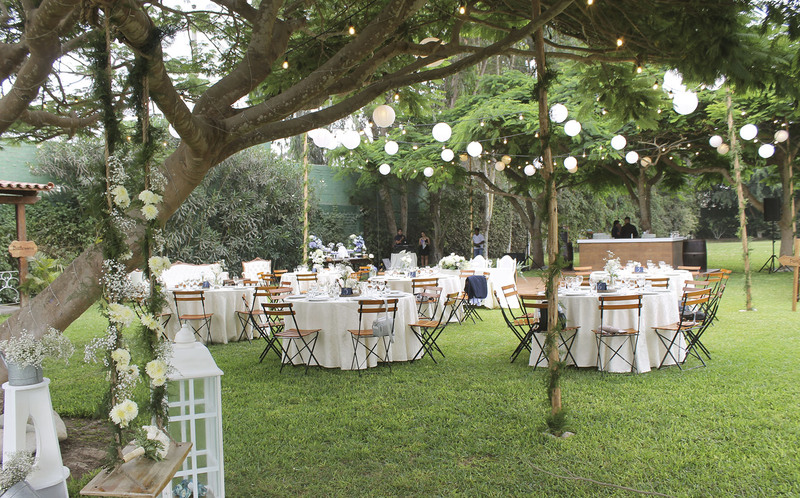 In summertime, you might consider to have a tent to provide some shade for your guests, in case of high temperature, you do not want to leave your guests under the sun. 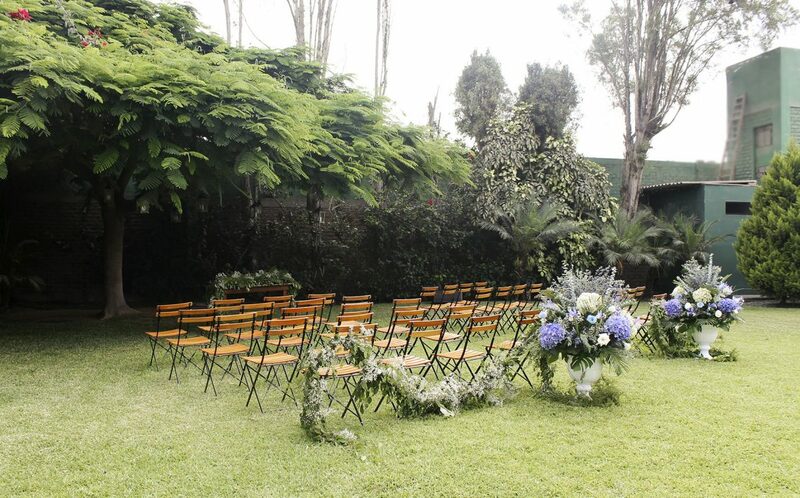 However you should always try to place your ceremony in a shaded area. 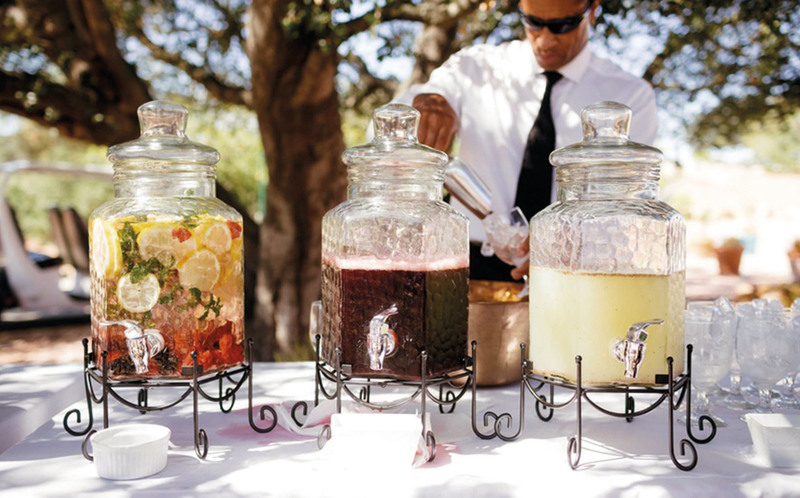 Refreshment and water: If you are getting married in spring or summer time, it will probably be quite warm, so provide refreshments for your guests, especially men if they are required to wear a suit. 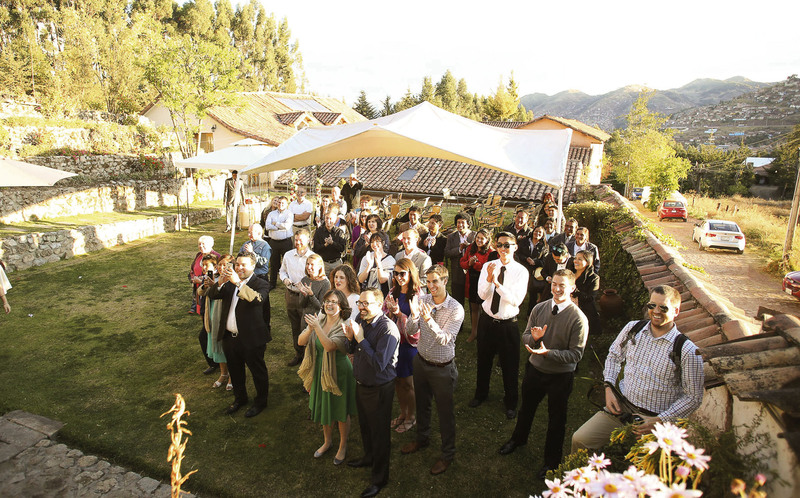 Umbrellas: Have a stash of umbrellas ready for your guests, in case of rainy day. 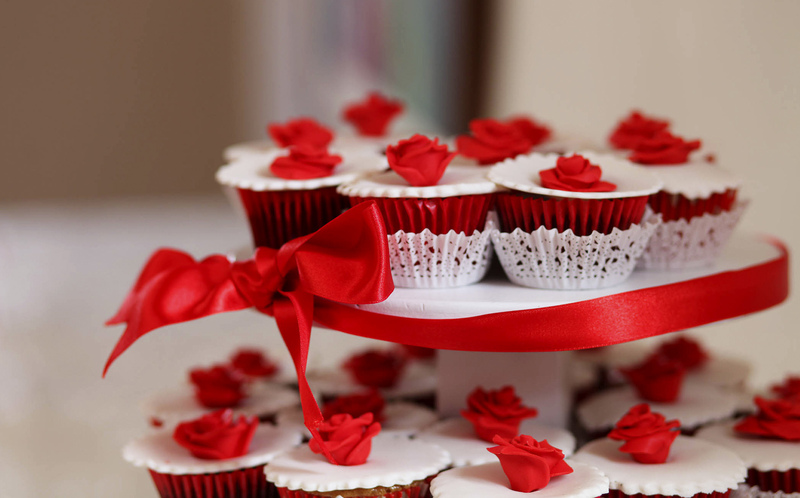 You do not want them to get wet, especially if they have a wedding reception and party to attend. 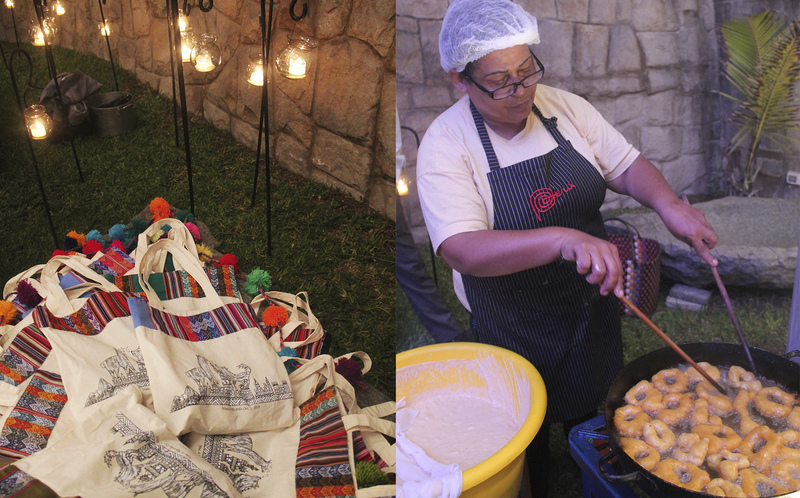 Blankets: Have blankets available for your guests, in case of high humidity and low temperatures. This depends from the seasons. 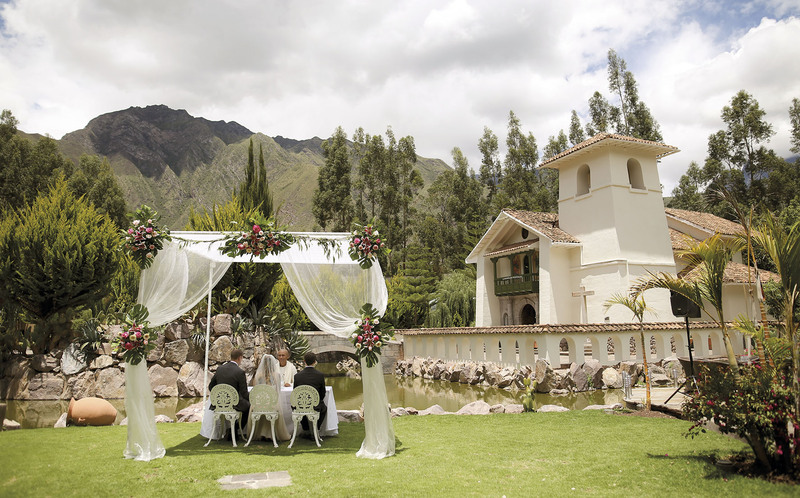 If you get married in spring, temperature would likely drops at night, so blankets are a must-have. 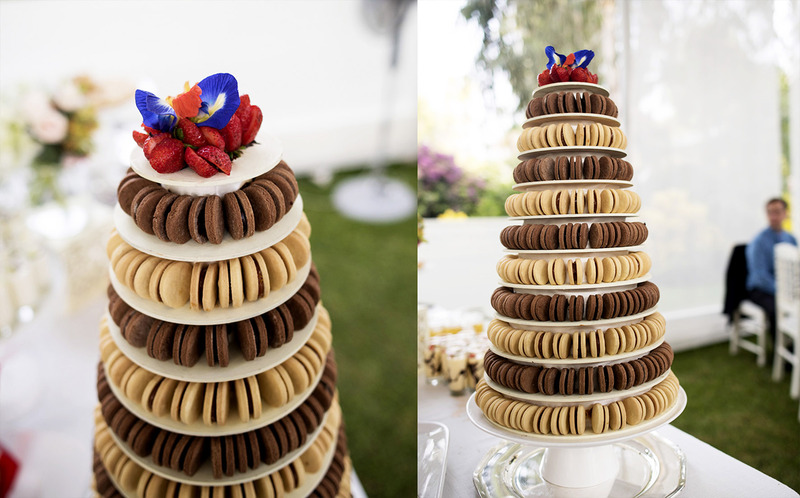 Plastic heels protectors: In case you are getting married on grass, just distribute heels protectors for your female guests. 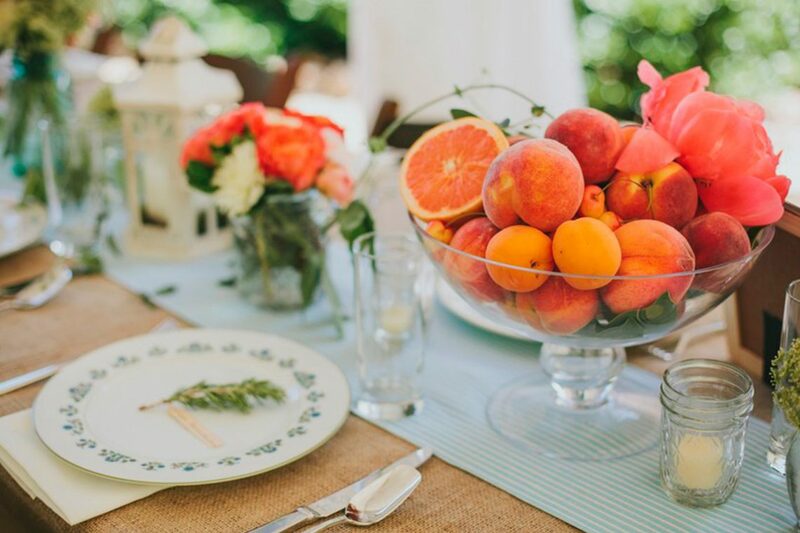 Ice: If you are getting married during summertime, do not forget to have plenty of ice available for refreshments, some cold food, fruits and more. 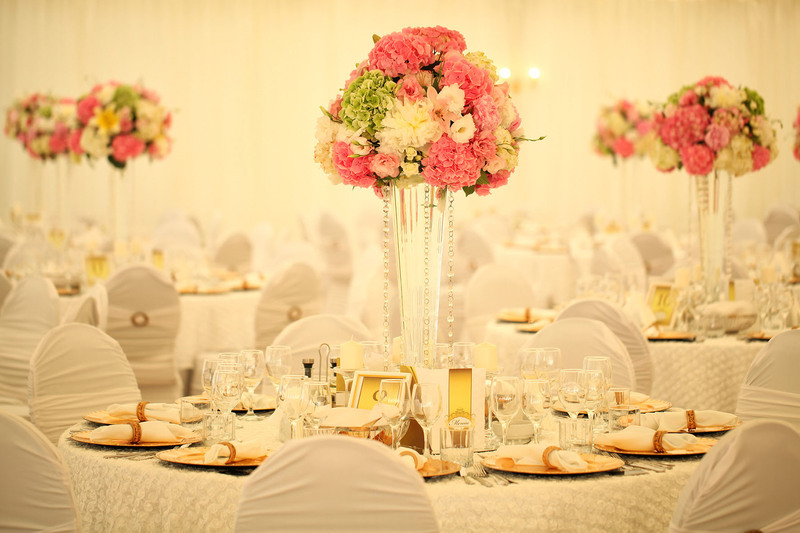 Flowers: try to place your flower decorations just one hour before guests’ arrival, they could get ruined under the sun. 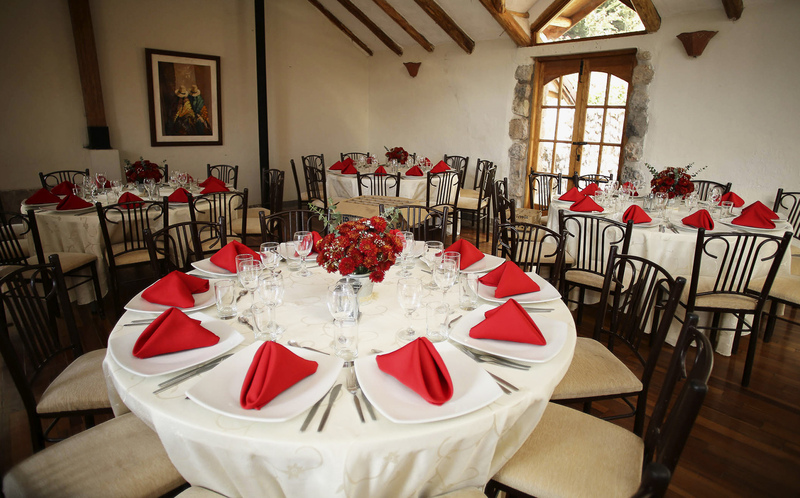 Insects: call a professional company specialized in keep bugs away, do this 3-4 days before the event. 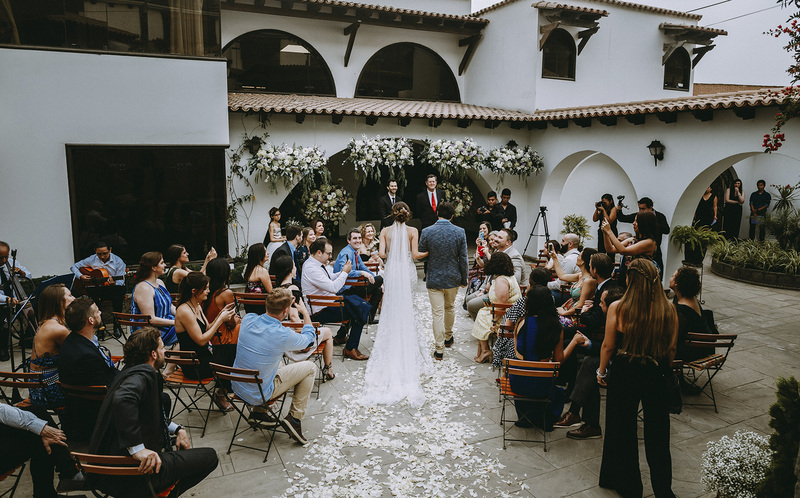 Place a basket with the following items in the bathroom could be useful for your wedding guests: Bug spray, flip flops of different sizes, Suntan lotion, first aid kit. 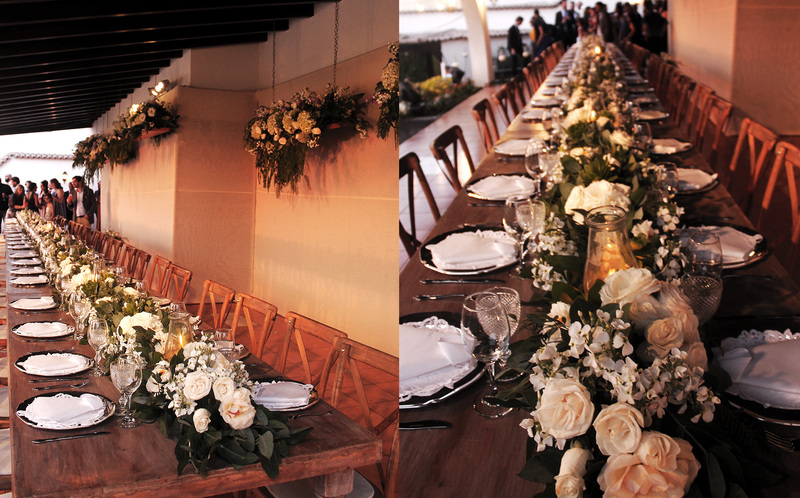 So here my tips for outdoor wedding ceremonies and receptions! 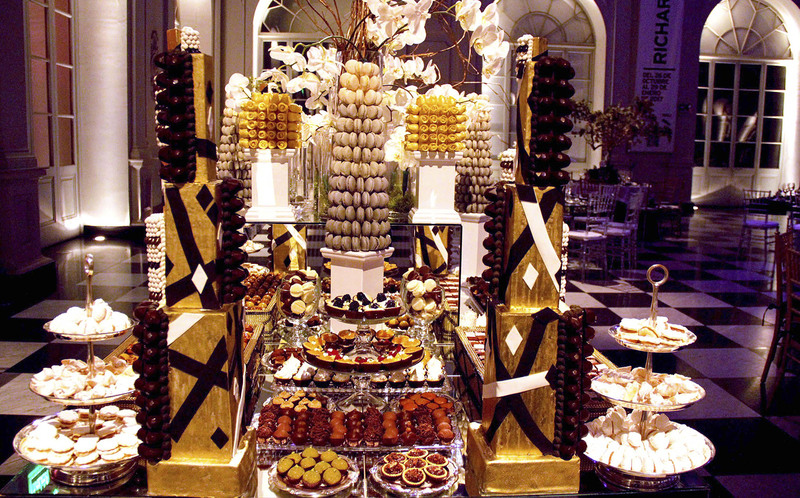 I hope they are useful for your wedding planning process. 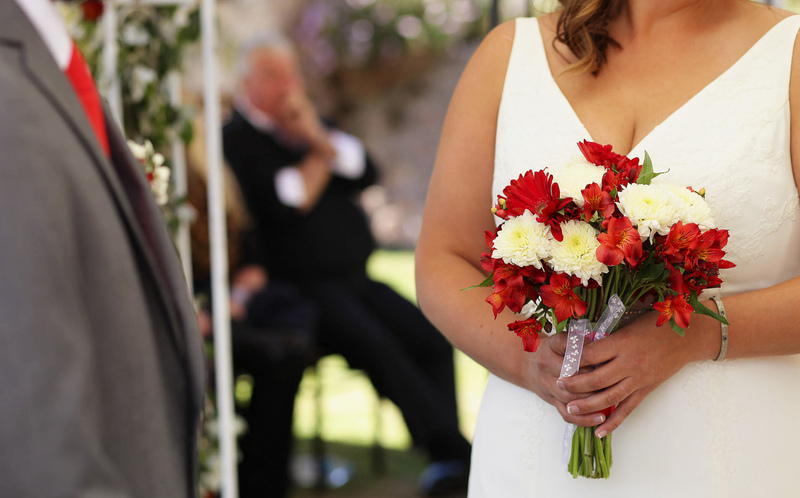 We all know that flowers are always related to wedding and to ceremonies in general, but I had brides and grooms that really were not into flowers. 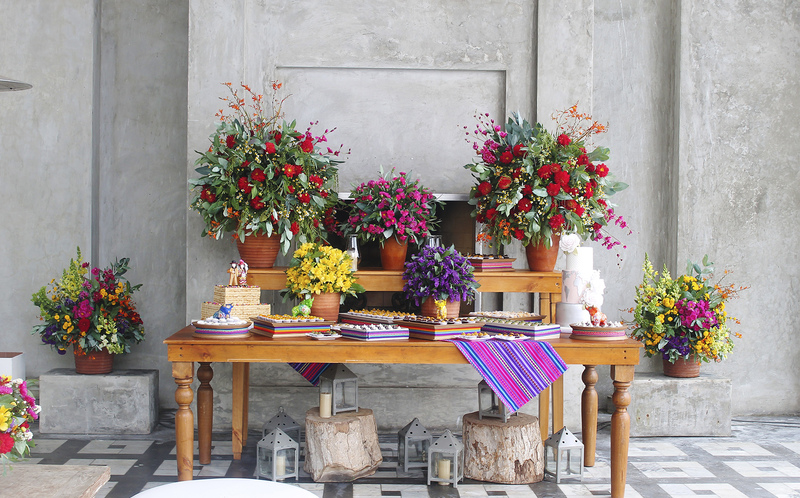 I am also not a big flowers fun, but I understand that in some occasions it is inevitable to use flower decorations. 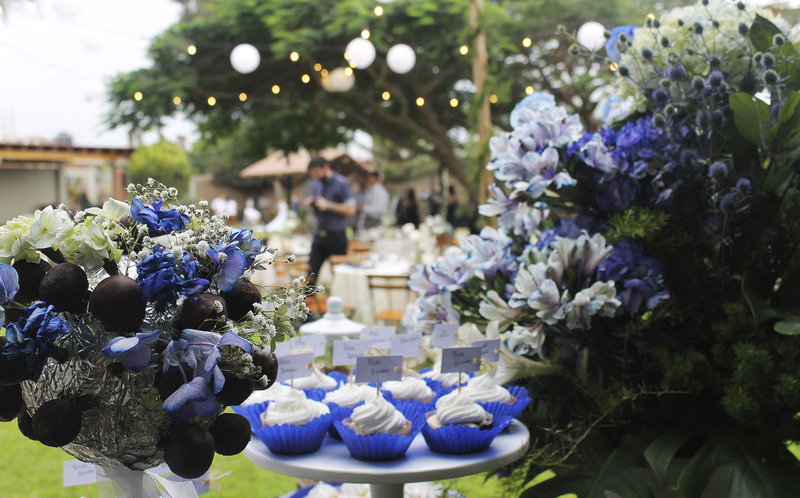 The majority of us thinks that weddings are one of those occasions, but it is not like this. 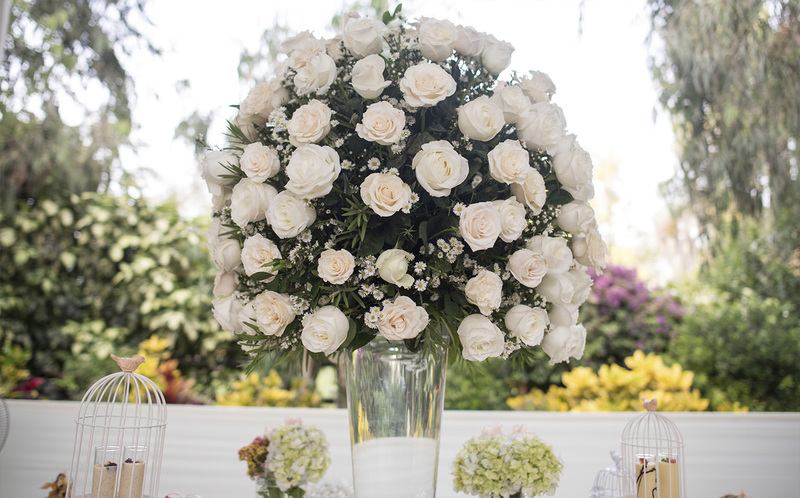 If you do not want to use flowers, you should be creative and use other items to create visual effects. 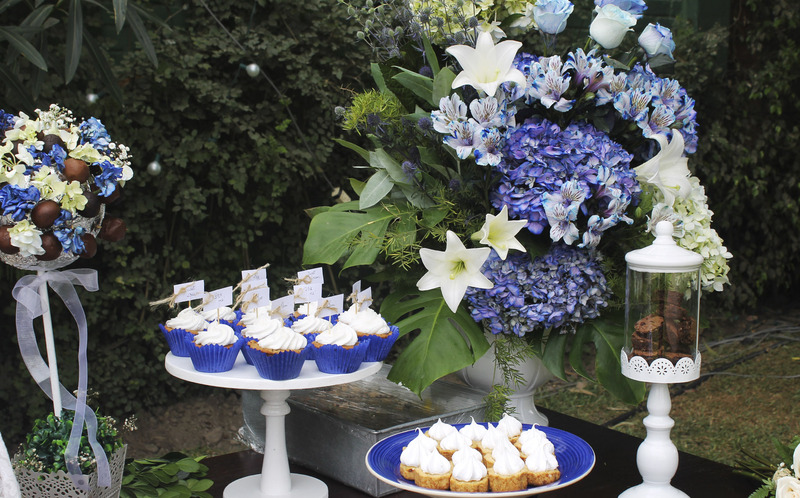 That is why today I want to give you some no-flower decoration ideas for your upcoming wedding celebration! 1. 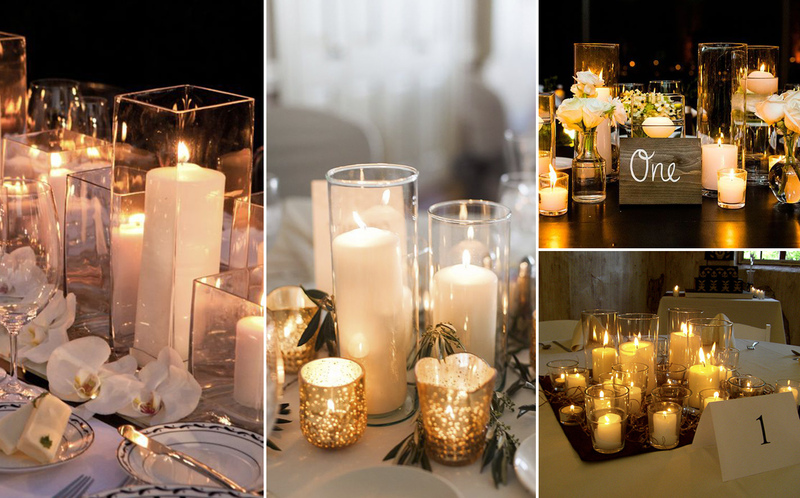 Candles: use candles as centerpieces, try to create a centerpiece with different sizes of candles, better if are of the same color or different tones of the same colors. 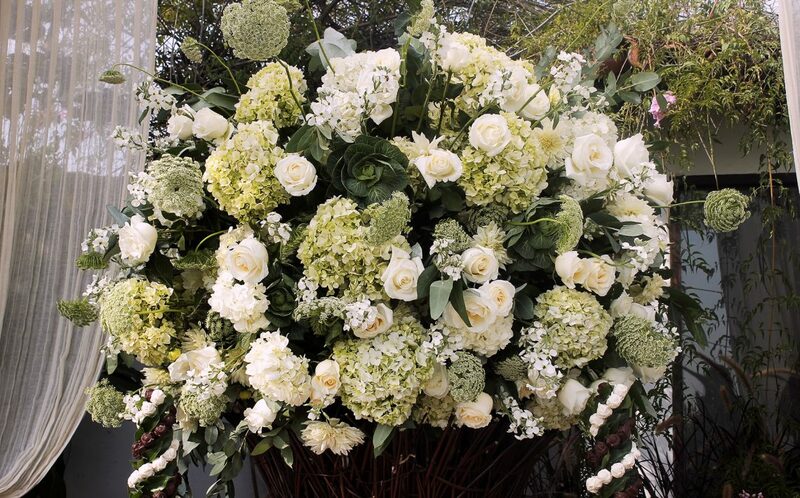 For example, use five candles of different shades of green or blue. 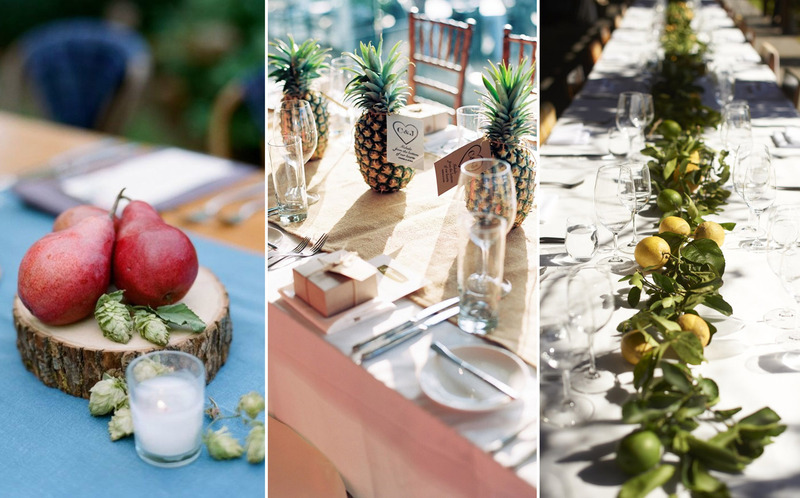 Always stick with your wedding colors palette. 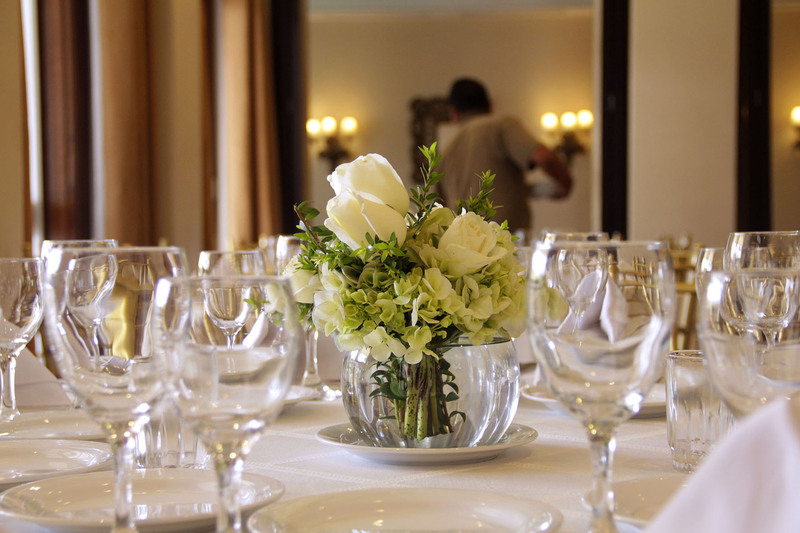 You can also use candelabrum or little clear glass vases, to give to your table an elegant touch. 2. 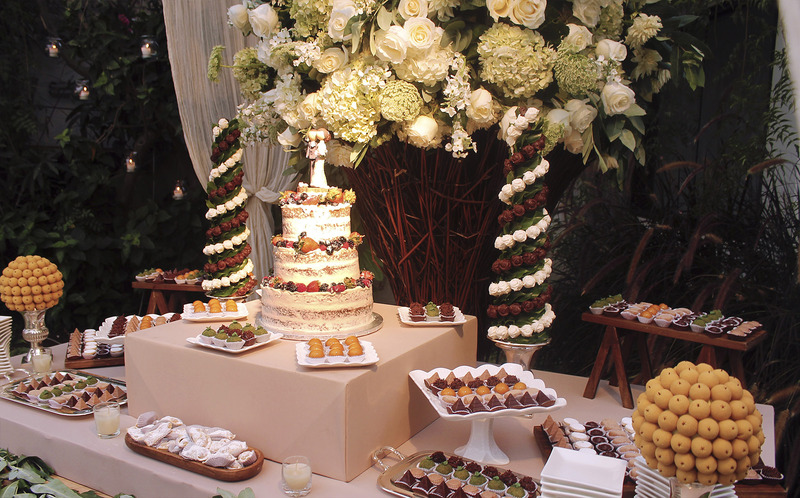 Balloons: use plenty of balloons! 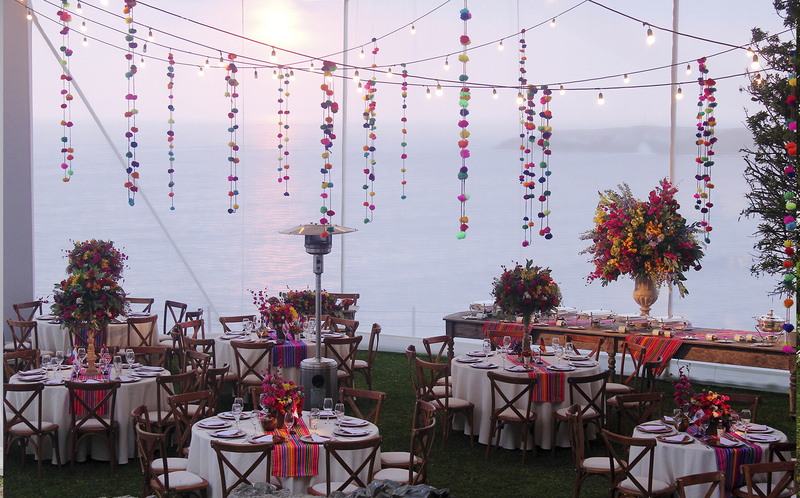 I really love the effect of balloons, they create a bohemian and vintage effect if you select the right colors! 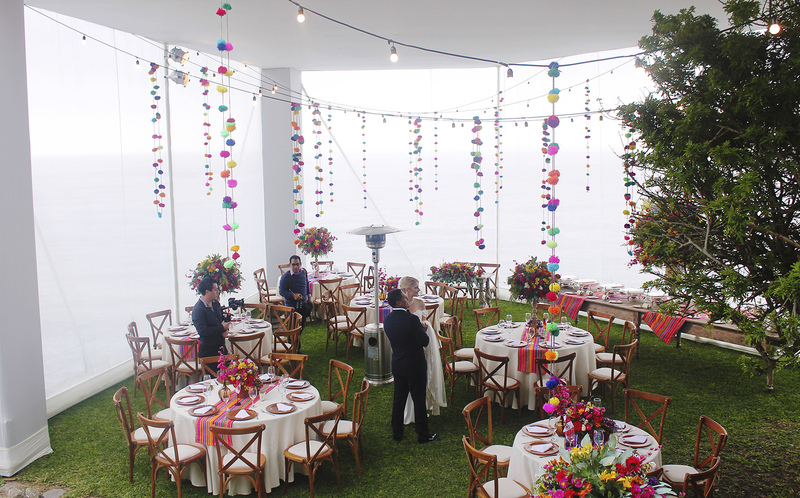 Try to use pastel colors (light pink, light yellow, light red and blue) if your goal is to have a bohemian wedding celebration. The effect will be awesome! 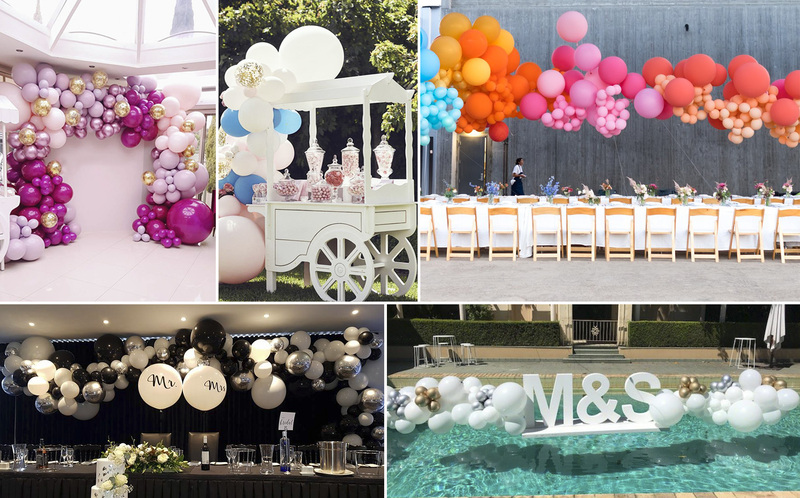 You can even create balloon backdrop or decorate a specific corner of the reception area with them. 3. 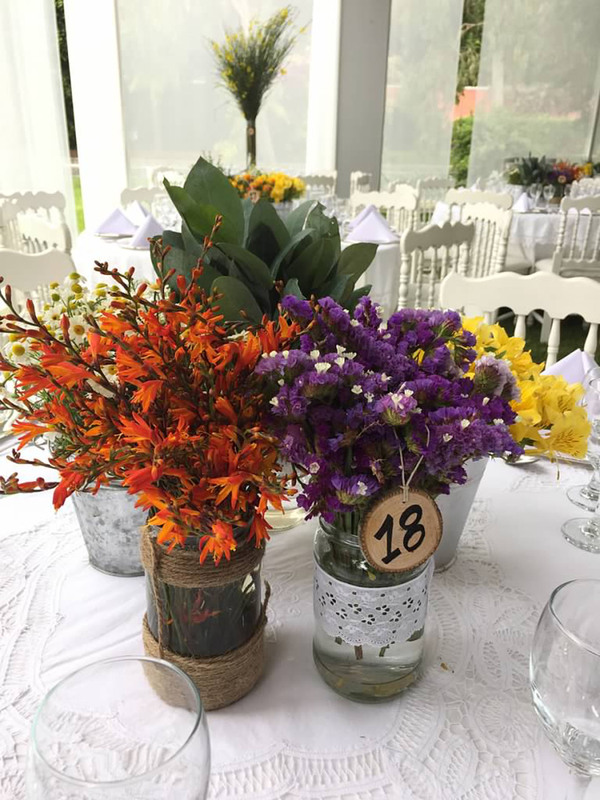 Origami/paper flowers: this is a real trend for 2018 wedding celebration. 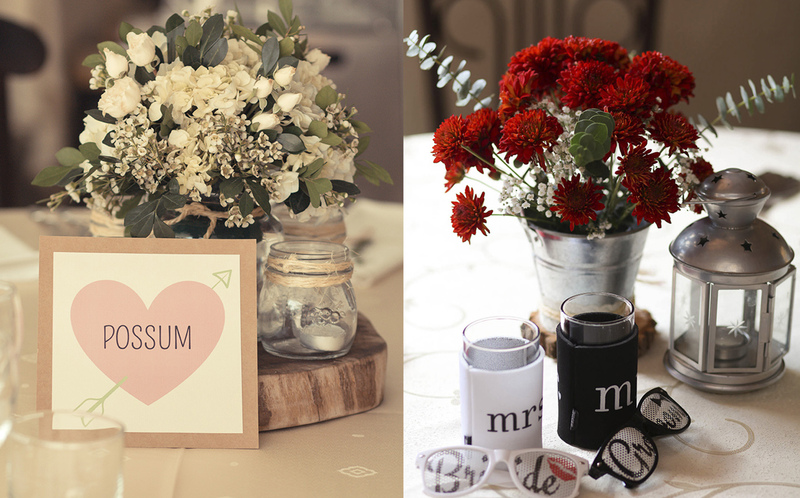 Use an origami centerpiece or create paper flowers to use as centerpiece! 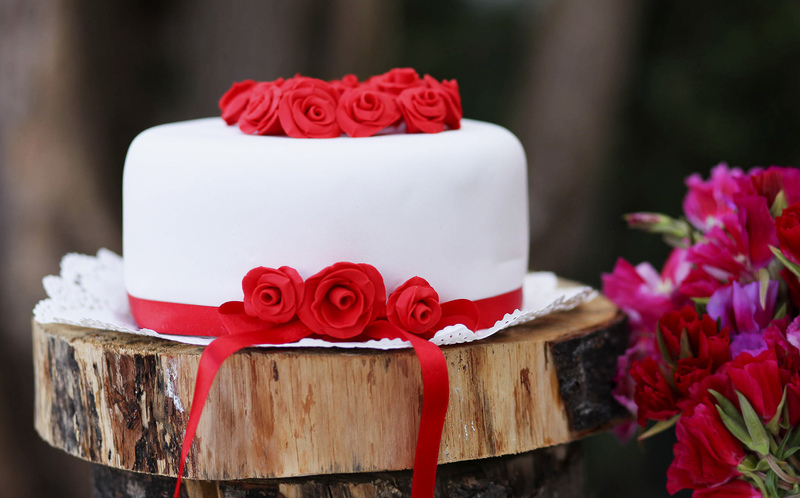 Paper decoration is a great option to use instead of real flowers. 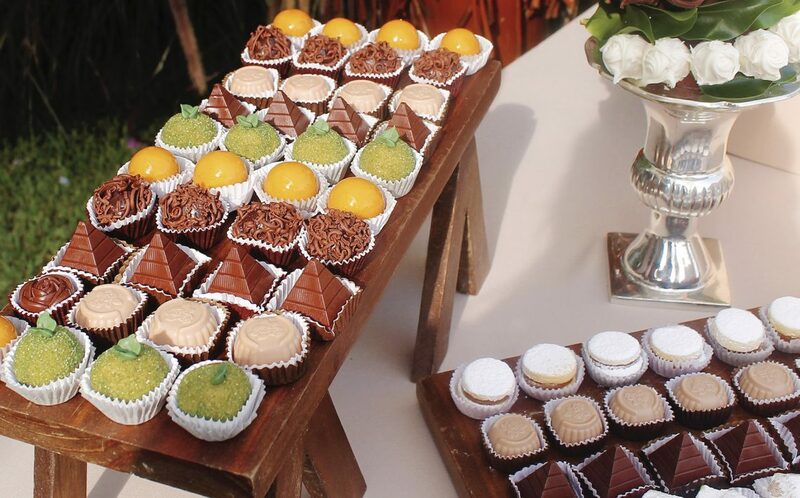 Once again, try to stick with your color palette, use different shade of the same color for origami. 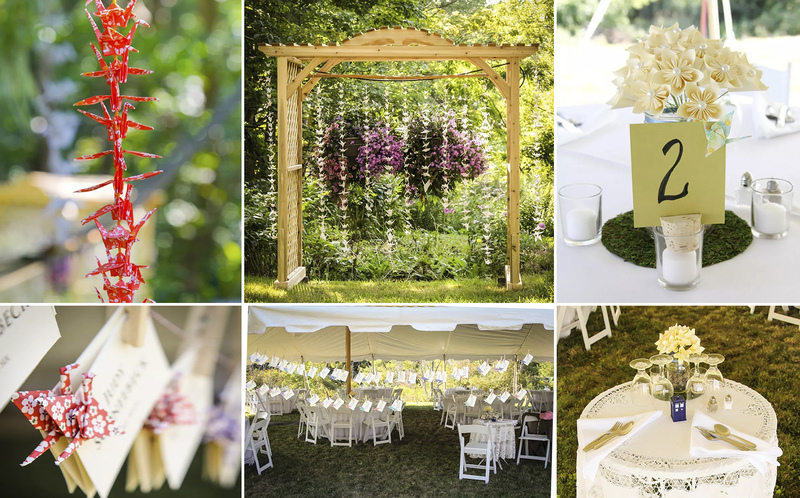 You can also create lines of origami secured with twine and hang them around the reception area. 4. 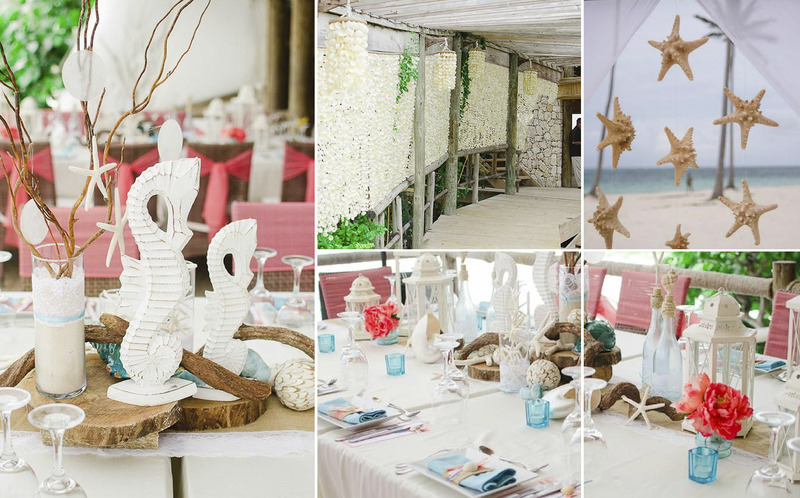 Shells: if you are having a beach wedding, use shells as main decoration elements. 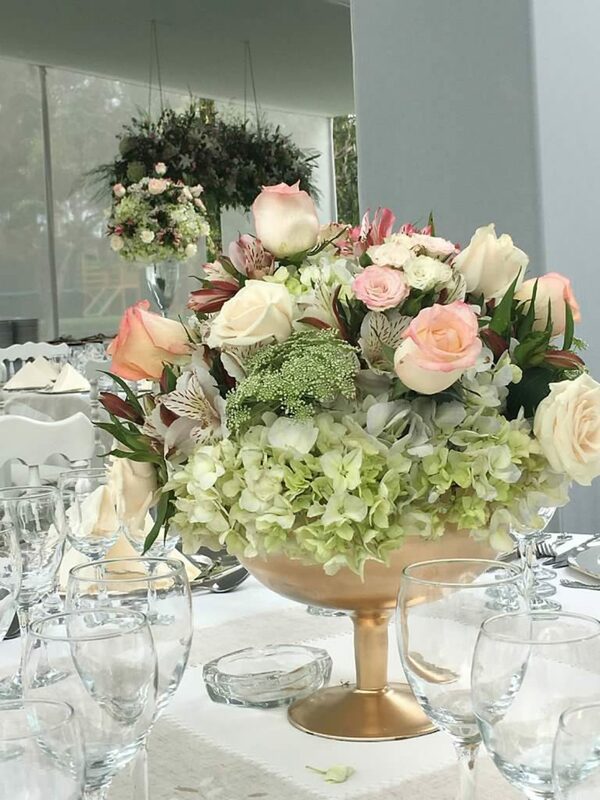 For instance, you can create a nice centerpiece with shells of different sizes and colors combined with sand in a glass vase. 5. 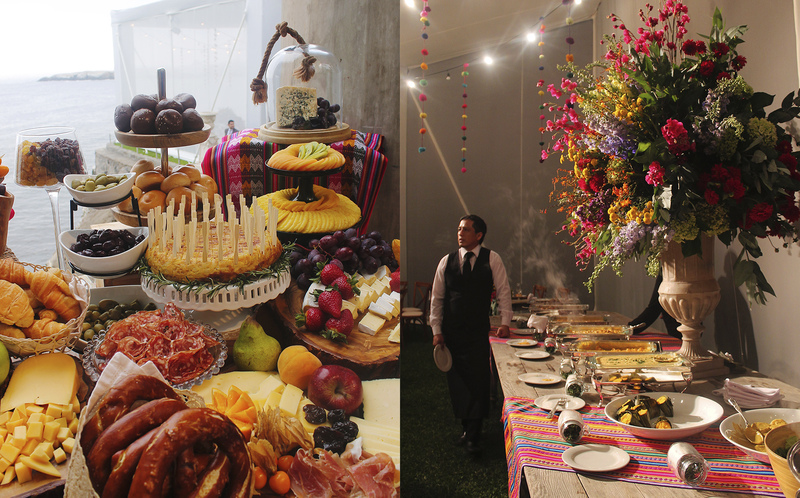 Fruit & spices: you can also consider decorating your table with fresh and dry fruits or spices, you can use pine cones, pomegranates, grapefruit, lemon, berries, cinnamon stick, star anise…you really have many options here! 6. 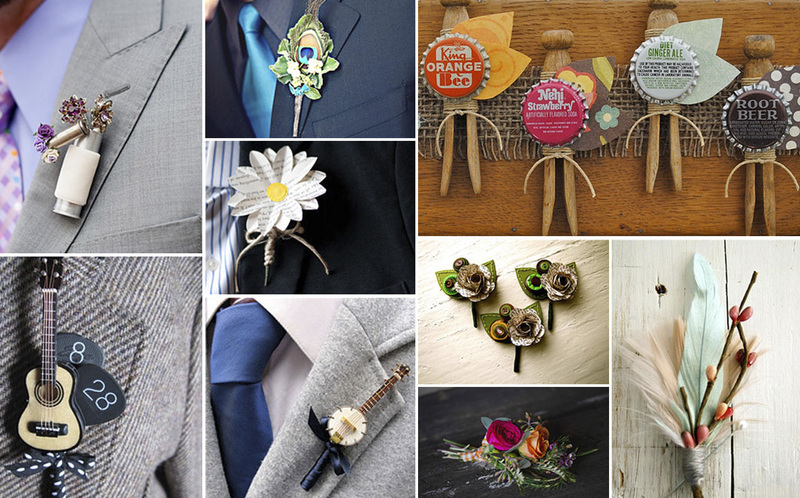 Pins: use pins instead of traditional boutonnieres for the groom and bestmen! 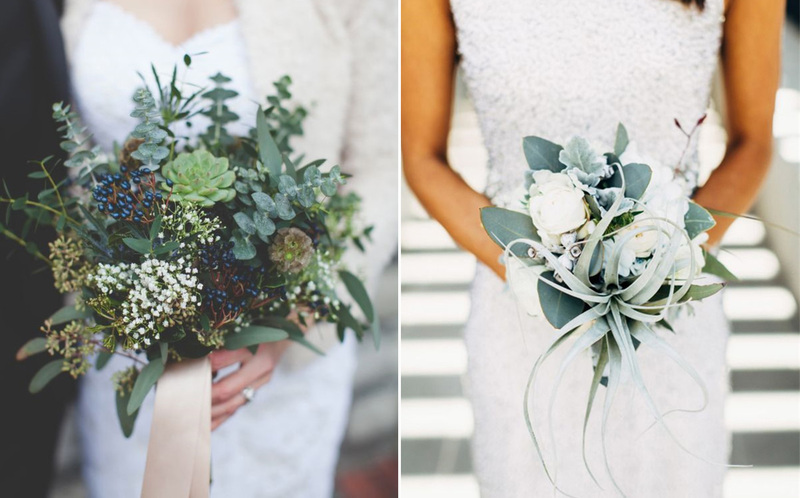 This is really a trendy alternative to flower boutonnieres. 9. 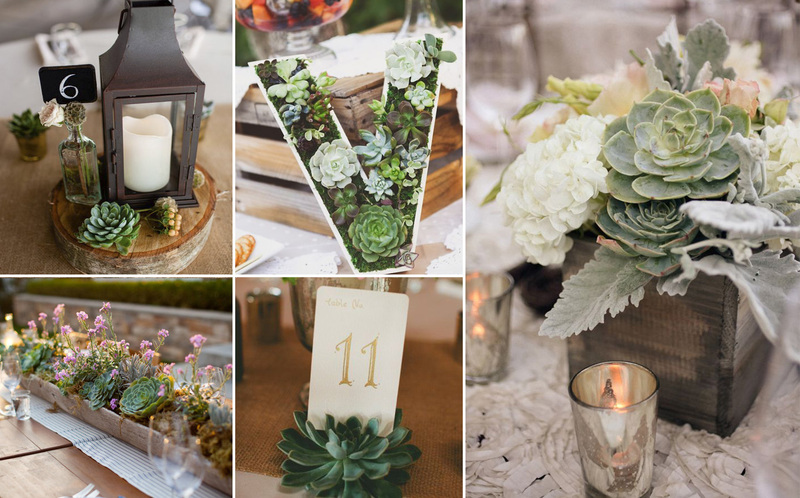 Succulents: other way to avoid flowers decoration is to use succulents, little plants used as centerpiece or accurately placed in specific corners of the wedding reception area. 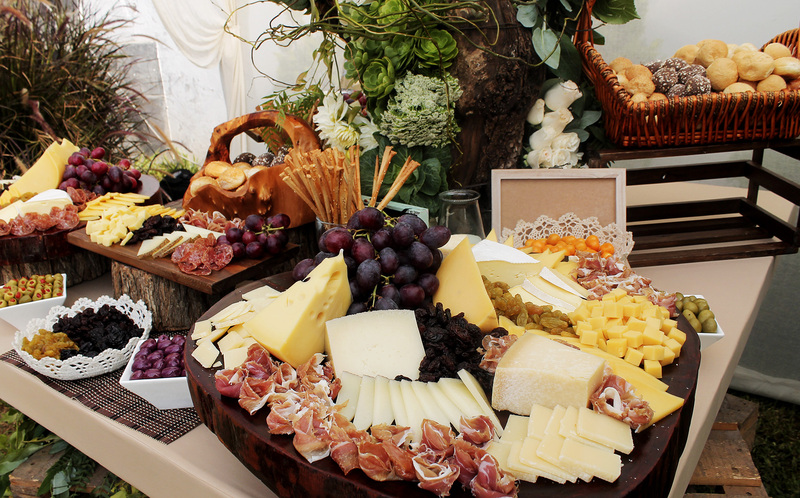 A part from the guests’ tables, use it to decorate the bar, the stage and of course the buffet table. 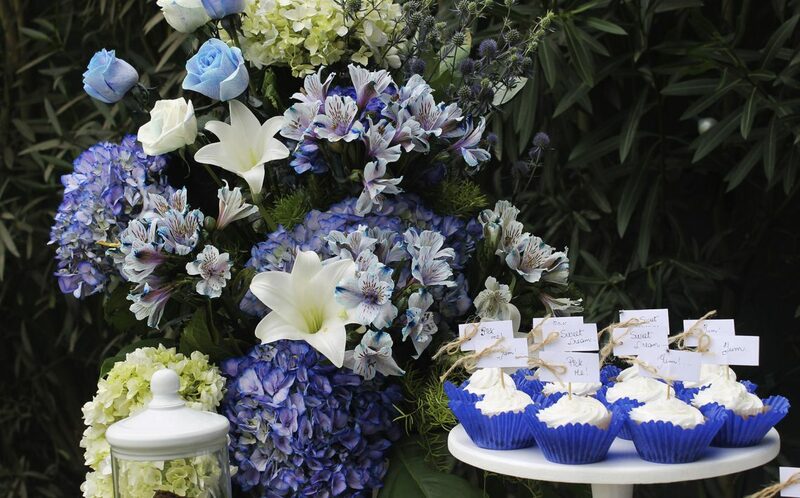 No flowers decoration elements are very versatile, and the good thing is that you can use elements that have a special meaning for you, they can let you remember specific situations of your love story or your life together as couple, there is more space for imagination and this way you can add a personal touch to your wedding celebration.